During the past few decades academic performance has emerged as a significant indicator of student credibility. Academic etforts of an individual therefore impact parental-social attitudes towards them to a large extent. This perception not only impacts the psycho-social well-being of the individual but also their ideology towards life. It farther also influences an individual's belief system, self-concept, resilience pattern and perception towards various situations in life. Thus, the current investigation aims to examine whether academic performance plays a role in Happiness of college graduate students. The sample comprised of 100 female graduates in the age range of 18-22 years. For this purpose, Oxford Happiness Questionnaire (Hills & Argyle, 2002) was administered and the last academic score of the students was noted down. Data was analyzed using descriptive statistical techniques and Pearson Correlation Coefficient. Results depicted significant positive associations between Happiness and Academic Performance (p>.01). The average happiness of students came out to be 4.11 that falls between the ranges of'pretty happy' while the average academic percentage came out to be '73%'. This indicates a linear relationship between the level of happiness and academic performance. This knowledge can be therefore used heuristically to formulate intervention strategies aimed at enhancing happiness amongst college students and further to reduce its dependency on academic endeavors so as to ensure sustainability. Bahmani, S. (2010). Relationship between emotional intelligence and happiness and professional burnout of Marvdasht graduate school administrators. Unpublished Master's thesis. Azad University: Arsanjan. Chen, S.Y., & Lu, L. (2009). Academic correlates of Taiwanese senior high school students happiness. Adolescence, 44, Issue 176. Libra Publishers, Inc., 3089C Clairemont Dr., PMB 383, San Diego, CA 92117. Cummins, R. A. (2005). Moving from the quality of life concept to a theory. Journal of Intellectual Disability Research, 4P(10), 699-705. Di Telia, R., MacCulloch, R. J., & Oswald, A. J. (2003). The macroeconomics of happiness Review of Economics and Statistics, 85, 809-827. Engeser, S., Rheinberg, F., Vollmeyer, R., & Bischoff, J. (2005). Motivation, flow- experience, and performance in learning settings at Universities. German Journal of Educational Psychology, 19, 159-172. doi:10.1024/1010-0652.19.3.159. Gilman, R., & Huebner, E. S. (2006). Characteristics of adolescents who report very high life satisfaction. Journal of Youth and Adolescence, .35(3), 311-319. Hadinejad, H. (2009). Reliability, validity and standardization of Oxford happiness questionnaire. Psychological Research,, 72(10-2), 62-77. Heidari, S. H. (2009). The relationship ^between emotional intelligence and achievement motivation in students of Islamic Azad University. Unpublished Master's Thesis. Psychology of Exceptional Children: Azad University, Dezful. Hills, P., &Argyle,M. (2002). The oxford happiness questionnaire: A compact scale for the measurement of psychological well-being. Personality and Individual Differences, 33, 1073-1082. Kem, M., Waters, L., Adler, A., & White, M. (2014). Assessing employee well-being in schools using a multifaceted approach: Associations with physical health, life satisfaction, and professional thriving. Psychology, 5, 500-513. doi:10.4236Z psych.2014.56060. Lyubomirsky, S. (2001). Why are some people happier than others? The role of cognitive and motivational processes in well-being. American Psychologist, 56, 239-249. Lyubomirsky, S., King, L., & Diener, E. (2005). The benefits of frequent positive affect: Does happiness lead to success? Psychological Bulletin, 131(6), 803855. Malik, S., & Saida (2013). Gender differences in self-esteem and happiness among university students. International Journal of Development and Sustainability, 2(1), 445-454. Okun, M.A., Levy, R., Karoly, P., & Ruehlman, L. (2009). Dispositional happiness and college student GPA: Unpacking a null relation. .Journal of Research in Personality, 45,711-715. Parker, D. R., Evangelou, E., & Eaton, C. B. (2005). Intraclass correlation coefficients for cluster randomized trials in primary care: The cholesterol education and research trial (CEART). Contemporary Clinical Trials, 26(2), 260-267. Rajaeepour, S., &Mohammadi, M. (2014). Emotional intelligence and personality traits as predictors of academic performance. International Journal of Education and Applied Sciences, 7(1), 1-13. Robbins, A. (2006). The over achievers: The secret lives of driven kids (1st ed.). New York: Hyperion. Salehi, Z., Khak, A.A., & Alam, S. (2013). Correlation between the five-factor model of personality-happiness and the academic achievement of physical education students. European Journal of Experimental Biology, 5(6), 422-426. Seligman, M. (2011). Flourish. New York: Free Press, pp. 16-20. ISBN 9781439190760. Seligman, M. (2011). flourish: A 'visionary new understanding of happiness and -wellbeing. NY: Free Press. Seligman, M. E. P., Ernst, R. M., Gillham, J., Reivich, K., & Linkins, M. (2009). Positive education: Positive psychology and classroom interventions. Oxford Review ofEducation, 55(3), 293-311. Steger, M., Oishi, S., & Kashdan, T. (2009). Meaning in life across the life span: Levels and correlates of meaning in life from emerging adulthood to older adulthood. 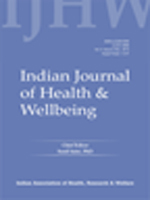 The Journal of PositivePsychology, 4(1), 43-52. doi:10.1080/17439760802303127. Tabbodi, M., Rahgozar, H., & Abadi, M. M. M. (2015). The relationship between happiness and academic achievements. European Online Journal of Natural and Social Sciences, 4, Issue 1. Special Issue on New Dimensions in Economics, Accounting and Management. ISSN 1805-3602. Verkuyten, M., & Thijs, J. (2002). School satisfaction of elementary school children: The role of performance, peer relations, ethnicity, and gender. Social Indicators Research, 59(2), 203-228. Zulkifi. I. (2013). Happiness and students performance in Quantitative subjects- A Preliminary Study. Proceedings Book oflCEFMO, 2013, Malaysia Handbook on the Economic, Finance and Management Outlooks ISBN: 978-969-9347-14-6.